(Modern Climber) A sumptuous and most attractive rose comprising of 60 or more rose-pink petals with a deeper reverse and shadings of magenta. Strongly fragrant with healthy, dark, leathery foliage. 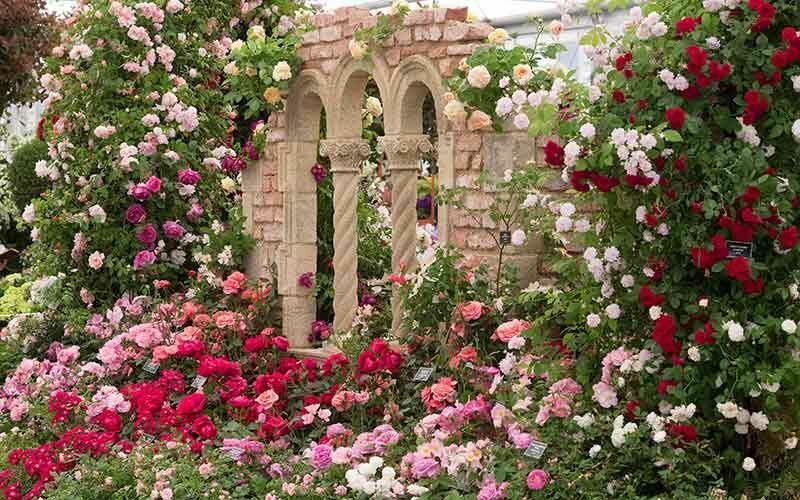 Has an upright habit and seldom not in flower throughout the summer A useful pillar rose or wall plant. In all respects a first class rose.